Clothing swap parties are a great way to refresh your closet without spending a ton of money but, how many of you have a group of friends who all wear your exact sizes? What if you could take all of your lightly-worn clothing and swap it with others who had the same sized clothing as you did? Or, if you’re just looking to downsize, what if you could both list and ship your old favorites in less than 5 minutes? 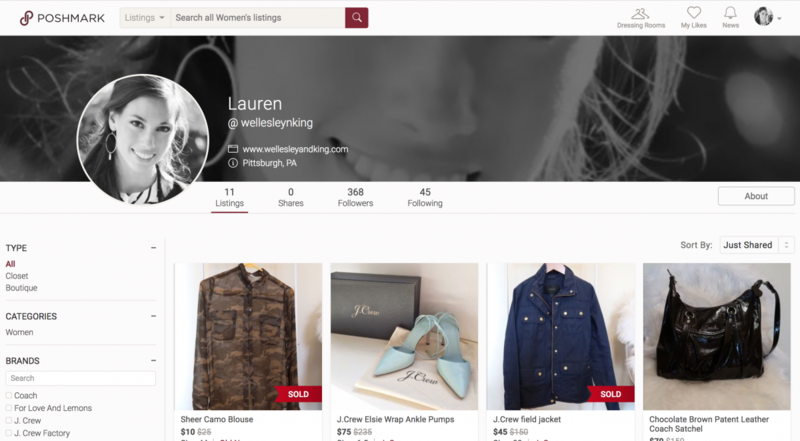 For the last few years, I’ve grown to appreciate Poshmark for its ease of use and hassle-free means for cleaning out my closet. 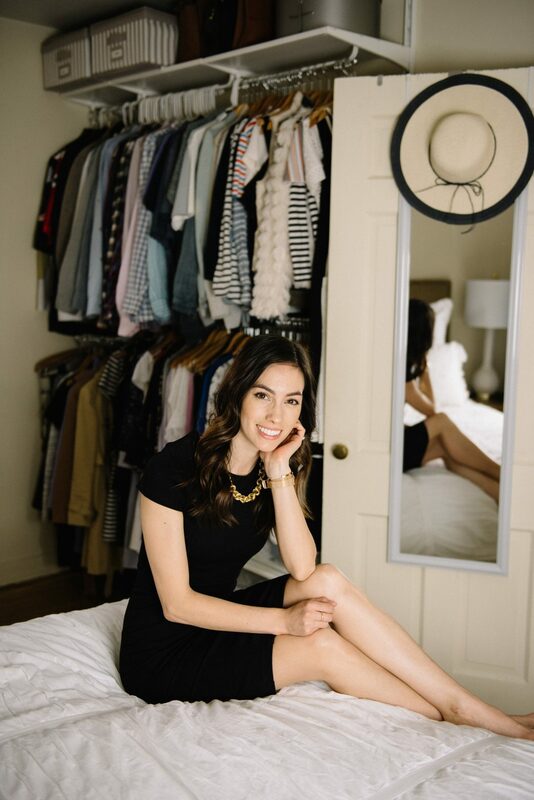 After creating my “closet,” I can take photos right on my phone and create a new listing in minutes. 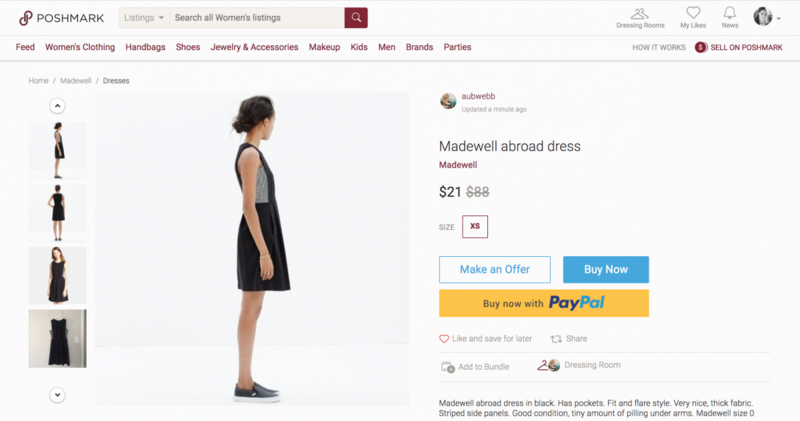 One of my favorite features of Poshmark is that it shows you exactly what your earnings will be, the moment after you set your price–so much easier than ebay! My second favorite feature: that you’re immediately emailed a shipping label after one of your items sells. This week, I’ve sold two items and, with all that’s been going on between work and home, the fact that I don’t have to take extra time to log in, input an estimated shipping weight, and generate a shipping label is so appreciated. I am all for an efficiency! The post office will scan your package, and tracking is immediately captured in the app so you and the buyer can track the shipment. 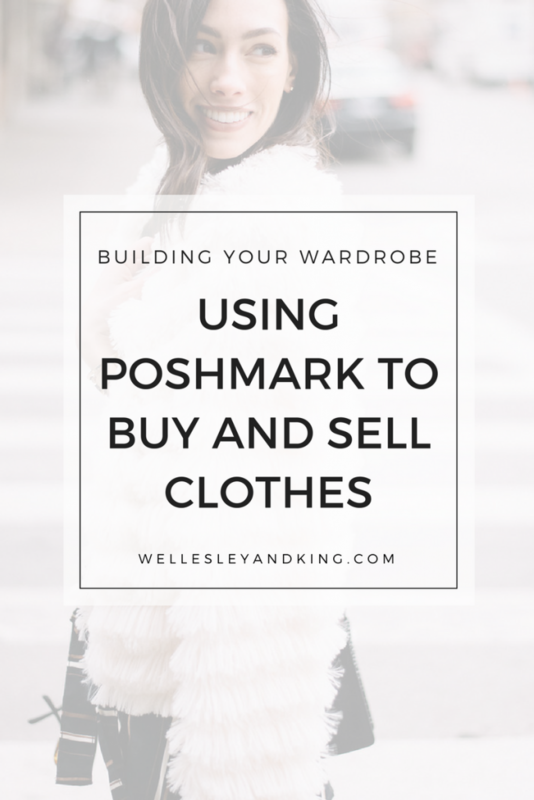 It truly is so easy, and I have to give Poshmark a ton of props for thinking of every way to make this process a piece of cake for everyone involved. There’s nothing this Type A girl loves more than a streamlined process from beginning to end! Personally, I take a large amount of my clothing to consignment shops when I’ve outgrown them, but sometimes it’s hard to swallow the usual “cash-for-clothes” pricing of $2 for something that you know originally retailed for over $100. On certain occasions, I simply cannot bring myself to accept the consignment prices, and prefer to list in my Poshmark closet. I’ve done this with handbags, and some of my like-new clothing from retailers like J.Crew and Banana Republic. I like to have fun with my sales, packing them up in tissue with a card and sending them off to their new home in some pretty packaging (it always makes me think of Marie Kondo, thanking my clothes for bringing me joy then allowing them to bring someone else joy). Adhere your PoshPost shipping label, and you’re done! It only takes a simple search for one of my favorite brands before I’m stumbling upon some fantastic finds (I love this Madewell A-line dress for year-round wear). With Poshmark, if you see something you love, you can always offer the seller the option to swap for an item of yours. If the pricing is right, they may take you up on your offer! Buying is easy, as it’s already integrated with PayPal. You can either make an offer to the seller–if you’re not willing to pay the full price (or just enjoy a good haggle! ), or you can skip the negotiation and buy it at the listed price. For items that I’ve sold, more often than not, the buyers sends me an offer rather than buying outright. Sometimes they are so much lower than the asking price that I just decline the offer altogether, but sometimes I’ll counteroffer with something in between. 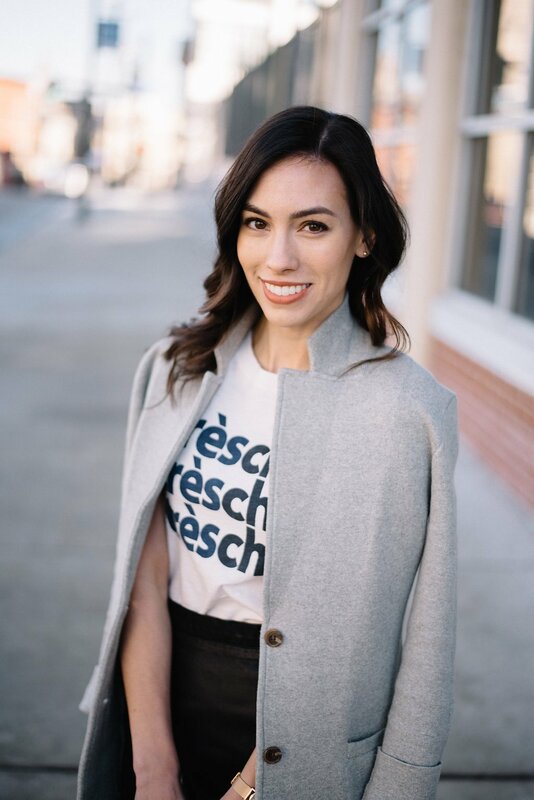 Have you sold clothes on Poshmark? What did you think of the process? Have you found new favorites? What was your experience like? So, to wrap up, I’m a big fan of using Poshmark to buy gently worn clothes and sell those you no longer wear. When you’re on a budget but love clothes, you have to get a bit resourceful with your wardrobe, and this tool is the place to start!